Senate Bill 19-181, the proposed comprehensive overhaul of oil and gas regulation in Colorado, has sparked widespread controversy and debate. The bill is now headed to Gov. Polis’ desk for signature. Industry groups strongly opposed the bill, while proponents say it is a logical step in ensuring the safety of Colorado’s communities and the environment. But what do the changes under SB-181 mean for mineral owners? From the perspective of a mineral owner, the most significant change has to do with what is called “forced pooling.” In order to drill a well, oil and gas operators need to acquire the right to extract the oil and gas from that well. Operators can do this by purchasing the oil and gas rights or by leasing those rights. Under Colorado’s force pooling laws, operators can also force pool the interests of owners from whom it was not able to acquire a lease. Colorado’s current force pooling laws allow the operator to force pool unleased interests even if it owns or has leased only a small percentage of the oil and gas interests. Landmen for the oil and gas operators will sometimes use the threat of forced pooling to persuade reluctant mineral owners to enter an oil and gas lease. From the perspective of the mineral owner, SB 181 makes two significant changes to Colorado’s force pooling laws. First, operators will not be permitted to force pool interests unless they own, or have acquired leases from, more than 50% of the mineral interests to be pooled. Second, the royalty rate for mineral owners who are force pooled changes from 12.5% to 15%. These changes provide protections to mineral owners. The threat of being force pooled will be less effective against reluctant mineral owners and, where an owner is force pooled, they will be entitled to a higher percentage of the revenue from a well. Given the complexity of oil and gas leases and Colorado’s forced pooling, it is always best to seek the advice of an experienced oil and gas attorney in responding to proposed development of your mineral interests. Whether you are an executive, top salesperson, professional employee, or business owner; it is likely you have been confronted with a covenant not to compete. These are common agreements which are used in the sale of a business and when hiring top executives, salespeople and professionals such as physicians. A lot of our clients are surprised to discover the truth about these agreements in Colorado. With some exceptions, covenants not to compete are NOT enforceable in Colorado unless they fit into one of four specified categories; and even then, they must be “reasonable in time and geographic scope.” Colorado statute favors the idea that all people should be free to work and any “restraint of trade” is presumptively invalid. However, there are four categories provided by statute in which such covenant will be enforceable in court. They will be enforced when the covenant applies to: 1) the sale of a business; 2) the protection of trade secrets; 3) recovery of expenses for training when the employee has been employed for less than two years; and 4) executive and management personnel. Covenants are also applicable to physicians when the agreement fits certain criteria. Applying these covenants to the sale of business makes sense in that part of what most buyers of a business are purchasing is the ability to operate the business without having to compete with a former owner. This seems “fair” in that a former owner should not be allowed to compete with the new owner who just paid for the business. Agreements to protect trade secrets are enforceable, but only if the business is protecting “real” trade secrets and not just preventing competition in the name of protecting trade secrets. These kinds of agreements are frequently used and often litigated. Whether you are an employee or a business owner, get some advice before using or agreeing to a covenant not to compete. 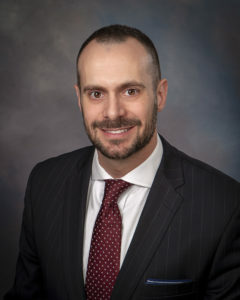 James joins OBP as a senior associate attorney in our Greeley office. 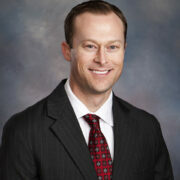 Prior to joining the firm, James was a partner with a law firm that specialized in oil & gas and mineral law. 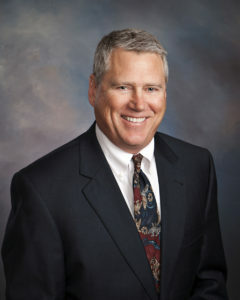 He has experience handling many facets of the oil and gas industry. 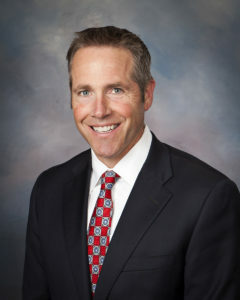 James has represented mineral owners, oil and gas operators, well service companies, pipeline companies, construction companies, land holding companies, oil refineries and industry associations throughout Colorado, Indiana, and Kentucky. His experience includes lease negotiation and acquisition, and related exploration and production issues. He has experience negotiating and preparing surface use agreements, joint operating agreements, participation agreements, oil and gas leases, confidentiality agreements, and purchase and sale agreements. He routinely advises clients on relevant regulations, case law, and statutes as they relate to the oil and gas industry. 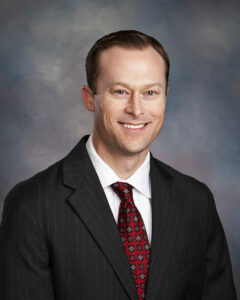 James’ practice focuses on oil and gas, real estate, and litigation. 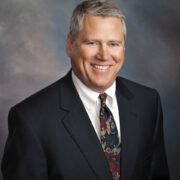 Otis, Bedingfield & Peters, LLC provides a range of legal services throughout Northern Colorado. OBP has 14 attorneys spread across its two offices in Greeley and Loveland. For more information, contact James Godbold at jgodbold@nocoattorneys.com or Jennifer Lynn Peters at jpeters@nocoattorneys.com or call 970-330-6700 or visit www.nocoattorneys.com. In recent years, growing popularity for keeping chickens in urban and suburban areas has caused many municipalities to adopt ordinances governing backyard chicken operations. While homegrown eggs delight many, the noise and smell of poultry can be a nuisance to nearby neighbors. Did you know that many municipalities in Colorado require a permit or license for a resident to keep chickens in their backyard? Without one, you could be subject to fines and other penalties. Some municipalities don’t allow backyard chickens at all. In Greeley, a resident must have a minimum lot size to have chickens, and many residential lots do not meet this requirement. Fort Collins, however, allows up to eight chickens on lots smaller than ½ an acre, but requires the Humane Society to issue a permit before the resident can have any chickens. Fort Collins does not allow roosters, which likely makes those who like to sleep in on the weekends grateful. The City of Loveland has much less restrictive requirements, does not limit the number of chickens a resident can own, and does not require a permit or license. Windsor allows up to six hens per lot, requires that the chicken coop be at the back of the lot, and requires chickens to be locked in the coop from dusk to dawn. The differences in chicken ordinances vary greatly in Weld and Larimer Counties. Before starting a backyard chicken operation, check with your local municipality to make sure you comply with all ordinances concerning poultry. Most towns and cities have their code available online. If you live in a neighborhood, you should also check the county property records to see if there are any restrictive covenants concerning chickens. By properly consulting your municipality, you’ll make sure your backyard chicken operation is positively egg-cellent. The American Institute Of Legal Counsel has recognized the exceptional performance of Colorado’s Attorney Jennifer Lynn Peters as 2018 10 Best Elder Law Attorney for Client Satisfaction. The American Institute Of Legal Counsel is a third-party attorney rating organization that publishes an annual list of the Top 10 Elder Law Attorney in each state. Attorneys who are selected to the “10 Best” list must pass AIOLC’s rigorous selection process, which is based on client and/or peer nominations, thorough research, and AIOLC’s independent evaluation. AIOLC’s annual list was created to be used as a resource for clients during the attorney selection process. 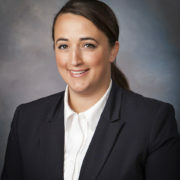 One of the most significant aspects of the selection process involves attorneys’ relationships and reputation among his or her clients. As clients should be an attorney’s top priority, AIOLC places the utmost emphasis on selecting lawyers who have achieved significant success in the field of Elder Law without sacrificing the service and support they provide. Selection criteria therefore focus on attorneys who demonstrate the highest standards of Client Satisfaction. We congratulate Jennifer Lynn Peters on this achievement and we are honored to have her as a 2018 AIOLC Member. 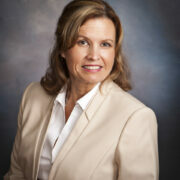 You can contact Jennifer Lynn Peters directly at: jpeters@nocoattorneys.com or 970-330-6700. 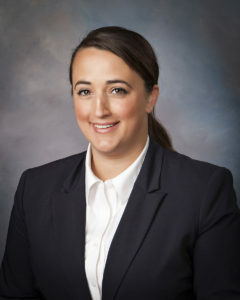 Otis, Bedingfield & Peters, LLC is proud to announce that attorney Brandy Natalzia was awarded a certificate of completion of the Commercial Real Estate Women (CREW) Leadership Program, which featured year-long specialized leadership development, industry training, and mentorship. The Course consisted of leadership classes led by expert instructors in the commercial real estate industry that taught leading principles in leadership, organizational management, and negotiations. 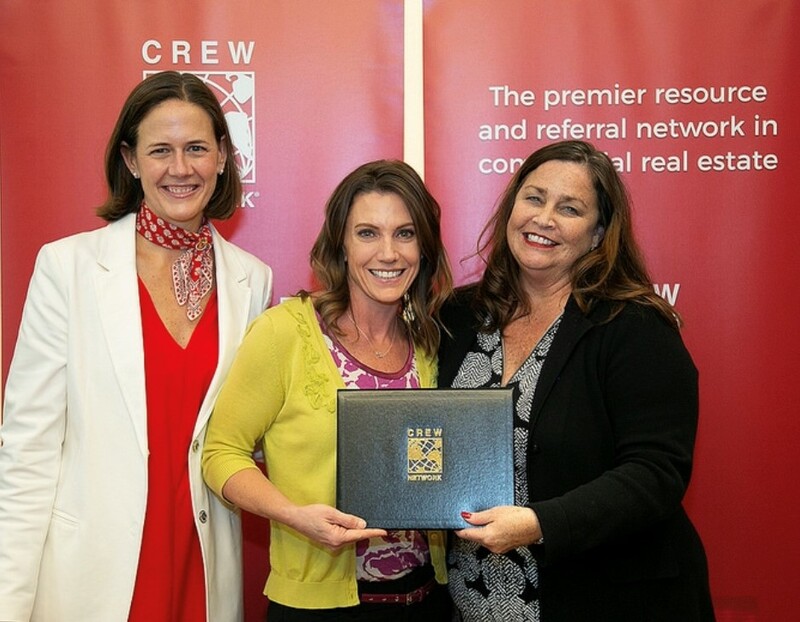 Founded in 1989, CREW Network is the industry’s premier business networking organization transforming the commercial real estate industry by advancing women globally. With more than 11,000 members globally, CREW Network members represent all of the disciplines and parties involved in a commercial real estate transaction, ensuring connections to qualified professionals to complete the deal. The vision of CREW is to achieve parity in opportunity, influence and power in the commercial real estate industry. 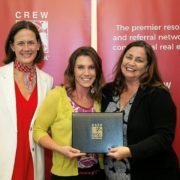 For more information about CREW Northern Colorado, please visit www.crewnortherncolorado.com. A version of this article was published in BizWest in November 2018. The Trump Administration’s emphasis on state empowerment has garnered significant attention, particularly in the environmental arena. So it is somewhat surprising that a recent change in policy having major implications for state permitting authority under the Clean Water Act has gone relatively unnoticed. The process that precipitated this change actually began under the Obama Administration. The CWA establishes two permitting programs: one that addresses effluent discharges, such as those from municipal or industrial wastewater-treatment plants (Section 402); and one that addresses the use of “fill” material to construct things such as dams or bridges, or to otherwise enable development in areas containing wetlands, streams, or other waters (Section 404). Section 404 permitting (often called “wetland permitting”) frequently presents issues for those in land or water development, agriculture, and extractive industries. Congress initially placed both CWA permitting programs in the hands of federal agencies (the Environmental Protection Agency for Section 402 and the Army Corps of Engineers and EPA for Section 404), but included specific provisions in the Act to allow states to take over, or “assume,” these programs. Regulated interests, such as businesses, farms, and municipalities, typically favor state-run programs over federally run programs. Currently, 47 states (including Colorado) implement their own Section 402 permitting programs, but only two states — Michigan and New Jersey — implement their own Section 404 permitting programs. While various obstacles account for this discrepancy, one of the biggest is the difficulty in identifying those waters a state can regulate when it assumes Section 404 permitting authority (known as “assumable waters”). This is because the CWA requires the Corps to retain authority over certain waters, but does not clearly identify those waters (known as “retained waters”). Traditionally, when a state wanted to pursue Section 404 program assumption, it negotiated with the Corps over how to divide permitting authority. Regulations grant the Corps final say on the matter, so, as one might expect, the Corps has interpreted retained waters broadly. In fact, Minnesota recently evaluated potential Section 404 program assumption and estimated that the Corps would retain jurisdiction over 92 percent of total wetland acreage and 99 percent of total lake acreage in the state. Creating and implementing a complicated permitting program requires a significant investment of time, money, and political capital. Given the Corps’ traditional interpretation of retained waters, it is not surprising that most states have concluded that the return on Section 404 program assumption is insufficient to justify the investment. In 2015, EPA assembled a group of stakeholders to recommend a way of identifying assumable waters that would remove this barrier to state Section 404 program assumption. In June 2017, this group, known as the Assumable Waters Subcommittee, provided its final recommendations to EPA. While EPA has announced its intent to propose regulations in 2019 to address the subcommittee’s recommendations, the Corps decided not to wait. It recently issued a policy memorandum adopting the subcommittee’s recommendations. These recommendations have profound implications for assumption of Section 404 permitting authority by Colorado. Under the previous approach, the Corps would retain jurisdiction over hundreds, if not thousands, of miles of streams in Colorado, along with wetlands adjacent to these streams, which can extend for miles. In contrast, under the new approach, the Corps would retain jurisdiction over approximately 39 miles of the Colorado River from Grand Junction downstream to the state line and the portion of Navajo Reservoir lying within Colorado, along with adjacent wetlands out to a distance of 300 feet. In other words, under the new approach, Colorado could assume Section 404 permitting authority over virtually all waters in the state. This places Colorado in an almost unique position among all states in this regard. Colorado’s booming growth and its need to secure water to supply such growth will raise countless challenges, including Section 404 permitting issues that require an enlightened balance between development needs and environmental protection. Section 404 Program assumption could provide the autonomy to address those challenges in a more efficient manner, and in a way that accounts more effectively for Colorado’s unique interests. Colorado evaluated Section 404 program assumption in the early 1990s and concluded that it was not worth the investment. Given the new rules of the game, it is time to take another look. 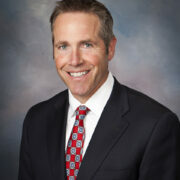 John Kolanz is a partner with Otis, Bedingfield and Peters LLC in Loveland. 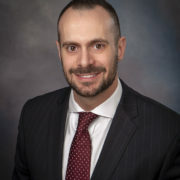 He focuses on environmental and natural-resource law, including Section 404 matters, and can be reached at 970-663-7300 or JKolanz@nocoattorneys.com.